Episode 36 kicks off with Ash and Rowlet attempting to sync up for Rowlet’s newly found Bloom Doom Z-Move. A resounding…failure! An irritated Mallow shows Ash how to do it correctly, with Rotom-Dex notifying Ash that he and Rowlet are currently at only 53% synchronisation. Everyone arrives at the Ruins of Life, where Ash will be facing Olivia for his trial. They make their way down to the arena, where Rockruff seems to be acting all out of sorts. Olivia enters with her Lycanroc, which seems to set Rockruff off. As Ash tries to calm Rockruff down, it bites Ash again, this time on his arm! The battle begins! The contenders pick their Pokémon to start, with Olivia picking Probopass…and Lycanroc! This is going to be a Doubles Battle!! 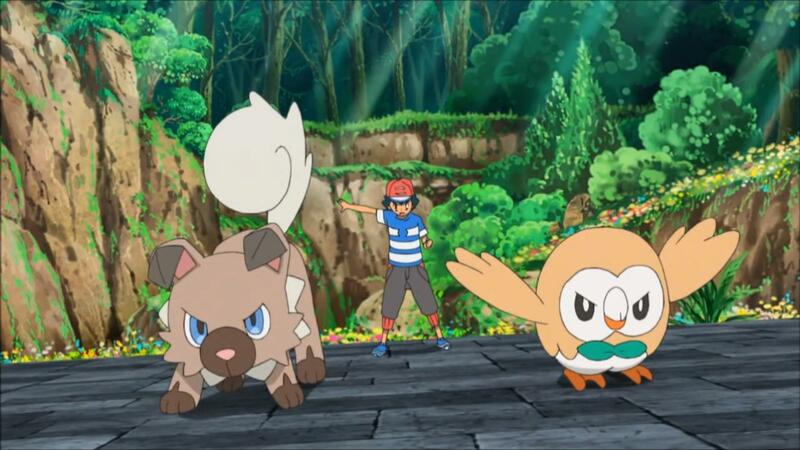 Before Ash can respond, Rockruff yet again runs straight to Lycanroc; Ash is forced to pick Rockruff and therefore Rowlet to accompany it. Ash goes straight on the offensive, with Rowlet and Rockruff launching a barrage with their Leafage and Rock Throw attacks. Olivia however is well-versed and responds with a Rock Slide from her Lycanroc. A direct hit! Probopass picks up the second part of their formation, surrounding them with Stealth Rock. 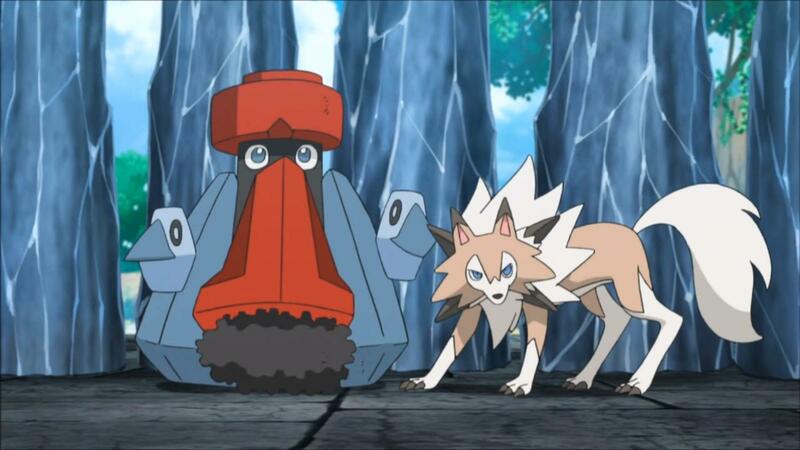 Rockruff runs straight for Probopass, colliding with one of the Stealth Rocks. Rockruff and Rowlet, ready to rumble! Ash decides to take an aerial approach to avoid the rocks altogther, with Rowlet scoring a direct hit on Probopass with Leafage. Olivia has Probopass use its powerful Magnet Bomb attack, which manages to strike Rowlet and Rockruff after an impressive display of acrobatics. Rowlet flies high with Rockruff, firing another Leafage and setting up another attack, however Lycanroc has other plans. It jumps up on Probopass’ minipasses, reaching the duo and hitting them square on with an Accelerock! Rowlet comes crashing down, with Probopass readying a Zap Cannon to fire at it! Rockruff quickly hits one of the minipasses into the move, cancelling it out. Close one! Rolwet goes to thank Rockruff for the save, only to receive Rockruff’s snarls and fangs. Olivia wastes no time, preparing a counterattack and using Lycanroc’s Z-Move, Continental Crush! Ash remembers this from seeing Gladion’s Lycanroc use it and has Rowlet fly high into the sky before bringing it down on top of the Stealth Rock formation, destroying it! Olivia tries a different approach, with Probopass homing straight in on Rockruff with Giga Impact. Rockruff manages to dodge it and goes to Bite Lycanroc, however Probopass manages to hit it anyway. However this has no effect on Rockruff’s fervor for battle! It jumps straight back in, over Probopass and uses Bite on Lycanroc and it’s not letting go! Incredible! Rowlet uses Tackle, avoiding Probopass’ Magnet Bomb and using it against Probopass. 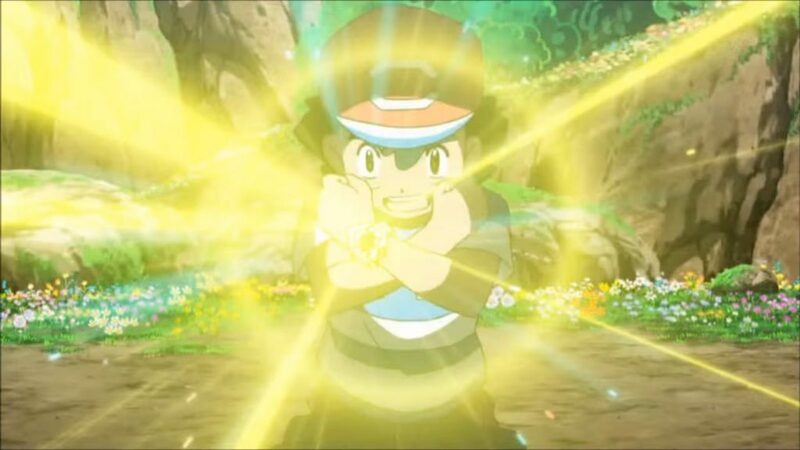 Seeing the opportunity, Ash uses his newly-acquired Z-Move, Bloom Doom! Olivia tries to stop if before it begins, however she’s too late. With a direct hit on Probopass, it’s out for the count! Rowlet takes Rockruff to the ski- nevermind. 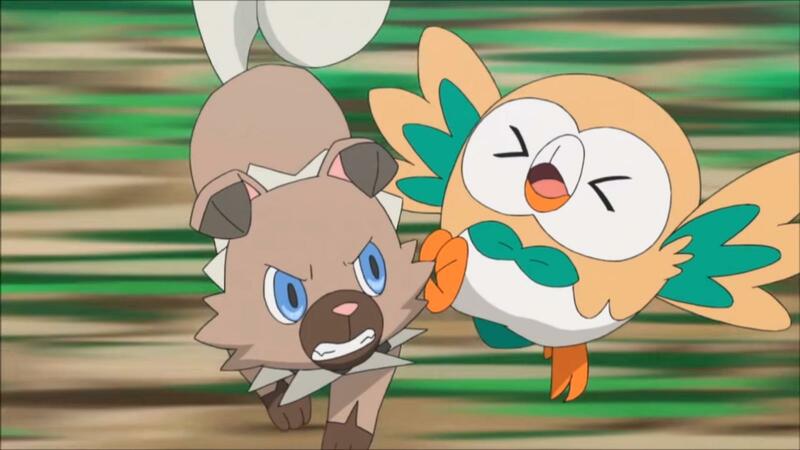 Rockruff has clearly had enough, attacking Rowlet and taking it out! After seeing its comrade knocked out, it finally comes to its senses, with Ash then psyching it up for its 1v1 battle with Lycanroc. It’s all over in a flash, with Rockruff expertly maneuvering around Lycanroc’s Rock Slide and responding with a Rock Throw of its own! 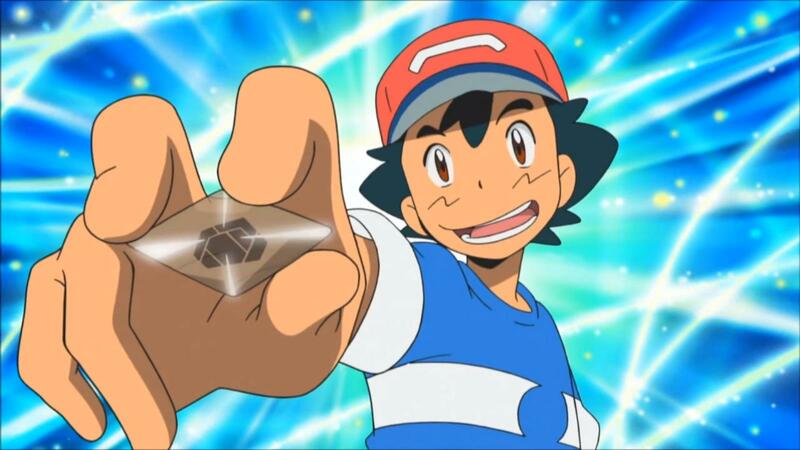 With that, Ash passes his Grand Trial! Olivia presents him with a Rockium Z-Crystal! She also lets him know the reason behind Rockruff’s weird behaviour – it’s close to evolving! So the curtains draw to a close on another exciting episode. That was a fantastic battle, well done Ash, Rowlet and Rockruff! We’re really excited to see Rockruff hopefully evolve soon, which form will it take?! Edited by Dragon and Kostas.